Firstly, an apology. I haven’t blogged for a little while and the truth is it’s because I have been unfaithful. Secretly, behind your back, I have been writing a blog for other readers – moonlighting if you will. When I left you last I was on part three of an intended two part blog on press access to the post 1868 execution. Part four will follow soon, but since my last blog I’ve been deep in the Durham County Record Offices and Tyne and Wear Archives and found some things that distracted me, so took the opportunity to write about them on the Tyne and Wear Blog. By way of apology, I am publishing the blog here too. Enjoy. The Murder Act itself was both a punitive and a practical measure, as surgeons and anatomists had extremely limited access to bodies and as a result had become increasingly reliant on an illicit trade in bodies, often freshly robbed from the grave – the most famous of these ‘body snatchers’ or ‘grave robbers’ being Scotland’s Burke and Hare in the c19th. 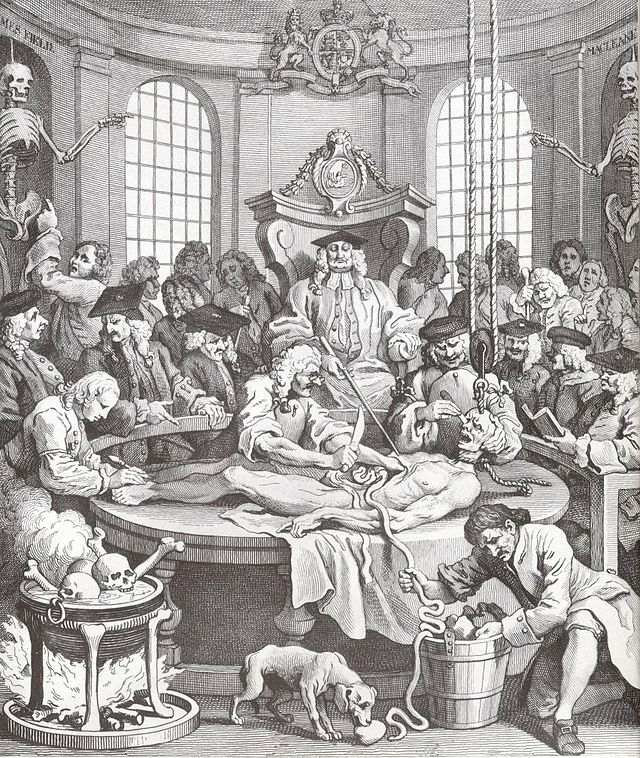 The most famous illustrated example of dissection can be seen in the work of artist William Hogarth and his engraved series “The Four Stages of Cruelty.” In which, the central character, Tom Nero, suffers the ignominious fate of execution and humiliation on the dissection table after death; the cruel reward for his reprobate behaviour. Regional accounts of dissections are rare, often limited to the simple details provided by the records of the Barber Surgeon’s themselves. However, a recently discovered diary of an assistant-surgeon in Newcastle in the 1820’s gives hitherto unprecedented access to such an event. 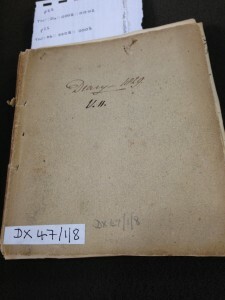 Thomas Giordani Wright was the assistant to Surgeon James McIntyre of Newcastle between 1826-29 and wrote a diary detailing his daily life and works. Amongst Wright’s many entries are several on Jane Jamieson, including her trial, execution and dissection. His entry on her trial is fascinating. Wright did indeed “partake of the benefits” as he was one of the many surgeons and surgeons-assistants who attended her dissection and the lecture series that followed. The lectures were given by John Fife, surgeon and later Mayor of Newcastle, and were free to surgeons and their assistants and open to the public for a fee of half a guinea for the whole course, or 2/6 per lecture. Wright thought the best lecture was the one given on Jamieson’s brain at which he estimated about 50 others were in attendance, about a third of whom were non-professionals. A few months after Jane was executed, Wright left for London and thus ended his diaries and with it our fascinating glimpse into medicine and punishment in Georgian Newcastle. Jamieson was to be the last woman hung in public in Newcastle and the last woman hung in Newcastle or Durham for over forty years. The practice of dissecting executed criminals was ended three years later, with the enactment of the Anatomy Act 1832. There are numerous instances of this practice happening in Newcastle. Thomas Giordani Wright and Alastair Johnson, Diary of a Doctor: Surgeon’s Assistant in Newcastle 1826-1829, 1St Edition edition (Newcastle upon Tyne: Newcastle Libraries and Information Service, 1998), 69. Last week my comedy group finally got round to doing our first ever live show. To be honest, I had been the main block to our live ambitions as I was terrified of the prospect. As it turned out there was no need to worry as it went down really well and we got to be the support act for one of the heroes of the North East, Simon Donald (co founder of Viz). Now, just have to write the award winning Edinburgh Festival comedy about eighteenth century death! I haven’t posted a song in a while and so have fallen back on a classic, that I frequently listen to, especially when feeling the weight of having to write 100,000 words to a PhD standard. This always seems to help temper my fears.